Review by Neo: Roger Elbert once proclaimed that Al Pacino simply cannot fail when he is playing an enforcement agent, as he has been doing so for a good 30 years. 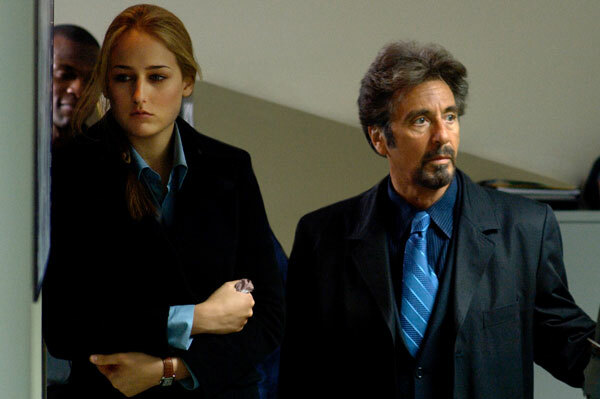 Elbert as much as he is correct for a long time, Al Pacino finally fails to deliver and despite being the best thing in 88 Minutes, he too fails to convince. Blame it on the script, the director, and the editing or poor supporting displays (namely Alicia Witt, Leelee Sobieski etc), but the film just simply fails to take off and it does not help when the finale seems more like a fairytale written by a primary schooler than professionals. To be honest, there are a couple of moments or two, but the flaws and cons by far overstretched the pros and the result is an unbelievable thriller than is more in line with un-thrilling and quite frankly cheesy in a bad way. 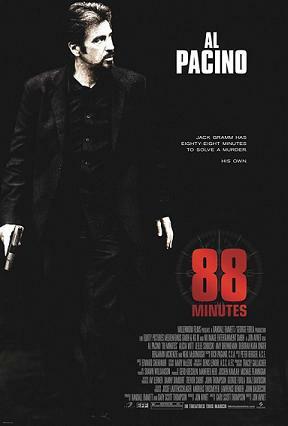 The movie goes like this: Al Pacino plays a FBI forensic researcher and doctor who is in the midst of a phone call telling him that he have only 88 minutes to live. Basically the film goes on and on in five minutes section, reminding the audience that there is still 70 minutes left in the movie. When a member of the audience is simply counting down the minutes he/she has to stay in the cinema, it is probably not a good indication of quality cinema. For the first time in a long time, Al Pacino looks lost and confused. Do not blame his 69 years of age, as he still manages to surprise and amaze me as recent as Righteous Kill (2008). It seems as though that Al Pacino isn’t really playing an FBI doctor or University Professor, but rather himself. I wouldn’t go on to claim that Al Pacino simply cannot act as seen in this movie as while he fails to convince, he still manages to be the single highlight in an otherwise terrible flick. Leelee Sobieski has been around for a good decade and still she is just 26 years of age. It is surprising and probably disappointing that Sobieski has since failed to live up to the potential that she so surely displayed way back in the TV-movie Joan of Arc. Then again, this film is by no means a fair evaluation given the short cuts that the director made and the cameo-like screen time that she manages to be on-screen. Given she still have a good 4 years till she can embrace the 30-year elite mark, there is still hope that Sobieski is given a better script to work with. However, with this and that dud starring alongside Jason Stratham in that fantasy tale, it goes without saying that Sobieski needs to work to better directors.